Choosing a new water heater for your home is a very important decision. The water heating system you choose for your home will not only affect your comfort but also your monthly energy bills. If you’re having trouble deciding which model is best for your needs, your Jacksonville water heater installation professional can help you sort through your options. Here are some important factors to consider when choosing a new water heater. When selecting a new water heater, it’s important to consider what fuel type you will use. The fuel type will not only affect the annual operation costs but also the water heater’s size and energy efficiency. Electric and natural gas/propane water heaters are the most widely available in the United States. Solar and geothermal energy are also used to fuel water heaters. Talk with your plumber or water heater replacement provider for more information about the different fuel types available. Heating water accounts for approximately 15 percent of a home’s energy use. To maximize your energy savings, research high-efficiency water heaters and find out what factors are used to measure energy efficiency. Water-heating efficiency is measures by an Energy Factor (EF) rating—the higher the EF, the more efficient the water heater. Compare the performance and operating costs of different water heater models using the EnergyGuide label to estimate your annual operating costs and savings. The capacity of a water heater is an important consideration when investing in a new water heater. For tankless water heaters, you need to determine the flow rate and the temperature rise you’ll need for its application in your home (whole house or a remote application, for example). For storage water heaters, look at the water heater’s first hour rating and choose a model with a rating that matches your peak hour demand. Your Jacksonville water heater installation professional can help you estimate your required storage capacity. When it comes to water heater technology, tankless is the way to go. Tankless water heaters supply unlimited amounts of hot water, all while achieving some of the highest energy-efficiency ratings of all water heaters. So, how do tankless water heaters work? Watch this video to hear from a professional plumber about the technology inside tankless water heaters and how these components come together to provide instantaneous hot water. If you’re ready to enjoy virtually unlimited hot water in your home, contact your Jacksonville plumber and learn if a tankless water heater is right for you. Professional tankless water heater installation is required to fully realize all the benefits of going tankless. If you want to save money, one of the best places to start is at home. 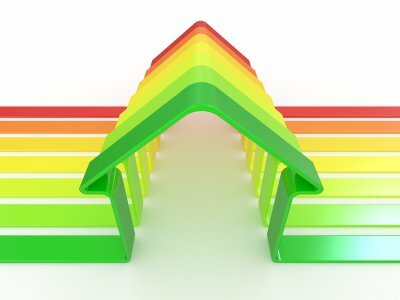 By making your home more energy-efficient and eco-friendly you can significantly reduce your monthly utility bills. Not only do energy-efficient products help you save money, but they also preserve our environment and make the world a better place for future generations. 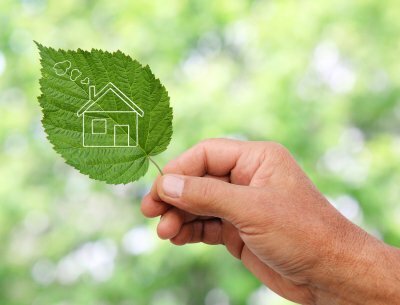 In terms of plumbing , there are a lot of ways that you can “go green.” Here are some of the best ways to make your plumbing more eco-friendly. The average American household uses 400 gallons of water every day . Faucets account for more than 15 percent of all indoor water usage. Upgrade to water-efficient fixtures, such as faucet aerators and adjustable-stream showerheads, to save water (and money) every month. Low-flow showerheads, for example, use up to 40 percent less water than traditional showerheads. Your Jacksonville plumber can recommend other water-efficient fixtures for your home. The toilet is one of the biggest water wasters in your home. Traditional models use 3.5 gallons of water on average per flush. Eco-friendly toilets use 60 percent less water than traditional models. Pressure-assisted low-flow toilets utilize compressed air to push water from tank to bowl. Ask your Jacksonville plumber how much you could save by replacing all the toilets in your home. Leaks, even small ones, can waste hundreds of gallons of water per day. Over time, all that wasted water leads to high utility bills and extensive water damage. If you notice leaking pipes around your home, or notice signs of a hidden plumbing leak, contact a plumbing repair company in your area to fix the leak, saving you loads of money and lots of time and headache in the long run. Signs of a hidden leak include musty odors, mold, and unusually high water bills. If your current bathroom is starting to look dated, it may be time to embark on a bathroom remodeling project. With updated fixtures and other amenities, your bathroom can be transformed from shabby to chic. When you are remodeling your bathroom, you may want to include luxurious features, such as beautiful floor tiles and marble countertops. To make your marble countertops really pop, you may want to include accent pieces on your backsplash. A company offering plumbing repair and drain line installation can assist you with your bathroom remodel. By working with a qualified company offering plumbing repairs in Jacksonville, you can ensure that your remodeling project is a total success. For a closer look at some terrific bathroom remodeling ideas for your home, watch this video from HGTV. When you are planning a new water heater installation for your home, you will have the choice of either a conventional or tankless unit. 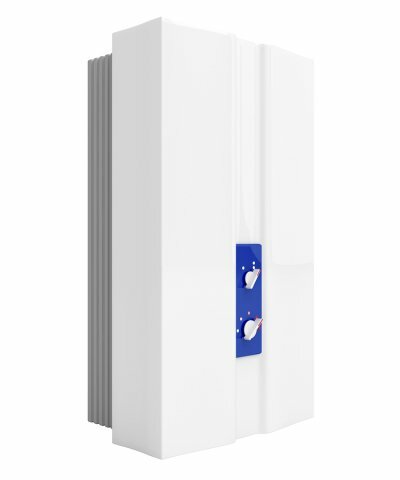 When you choose a tankless unit for your water heater replacement, you will be provided with exceptional efficiency and limitless hot water on demand. These exceptional water heaters are a terrific choice for many households. A company offering water heater installations in Jacksonville will be able to answer your questions about tankless water heaters. If you are considering a tankless water heater installation, read on for answers to some questions that you may have about these types of water heaters. What Are the Main Differences Between Tankless and Standard Water Heaters? There are several main differences between tankless and standard water heaters. One of the primary differences between these types of units is the way that hot water is created and stored. Tankless water heaters have no storage area, and instead create hot water on demand. By contrast, a standard water heater requires a large storage tank in order to provide enough hot water for a home. Tankless water heaters feature a remarkably efficient and streamlined design. When you turn on your hot water tap, water begins flowing through the tankless heater. As is travels through the unit, a heating element instantaneously heats up the water as it flows. Once the water leaves the tankless heater and reaches your faucet, it will have been heated to the perfect temperature. Tankless water heaters offer many advantages to the homeowners. These types of water heaters are more efficient and energy-saving than their conventional counterparts. In addition, tankless water heaters can help you save space in your home. If you are shopping for a high quality water heater for your house, you may want to install a tankless system.